In my previous post, I examined the largest issues facing college and university presidents across the country. To summarize, the skyrocketing cost of education has caused a decrease in enrollments, which has led to a financial crisis for many schools. In order to combat this, schools are forced to adapt to the new learner, reevaluate how they do business, and react to a changing market landscape. In today’s post, I want to examine the new learner; not only what they are looking for in a school, but also how to best communicate with them and meet their needs. 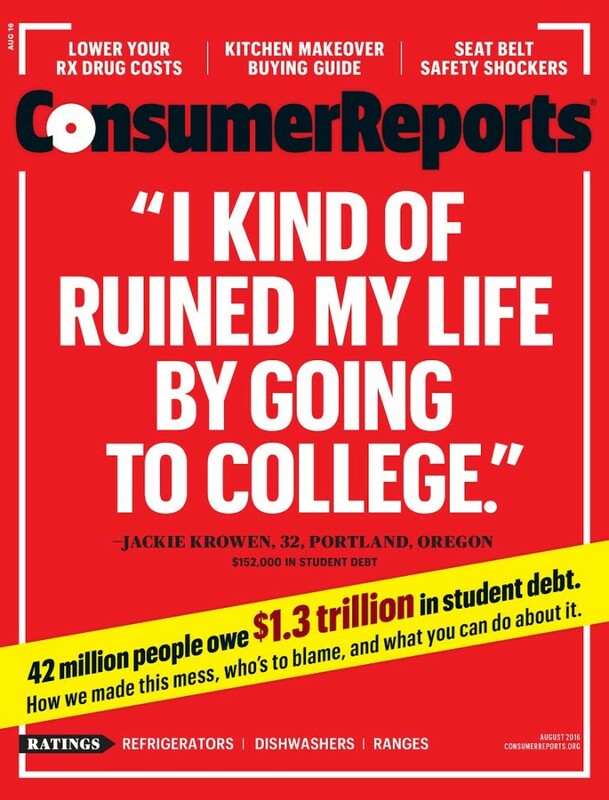 The cover of the August issue of Consumer Reports reads “I kind of ruined my life by going to college.” This quote, from someone with $152,000 in student loan debt, expresses a sentiment that many college graduates facing insurmountable student loans are feeling. The immense cost of education has made alternative options very appealing for undergraduate and graduate students alike. Non-traditional and online learning lowers the cost of education and provides convenient and flexible options for all students, especially adult learners. Many learners will continue to seek out the campus life synonymous with attending college, but with the growing popularity of “cyber school” at the high school level, the transition to online learning has become increasingly seamless, even for recent high school graduates. The stigma that was once associated with alternative methods of education is disappearing. Though it may seem challenging at first, taking traditional programs online is a necessary step to expand your offerings and attract students of all types. Many learners have forgone the traditional learning experience for a streamlined, more affordable education. In order to attract these students, institutions must continually reassess their offerings and how they can modify them to accommodate the schedules of working adults. The key for colleges and universities is alternatives. Having a variety of options is a powerful differentiator. Businesses across all industries are constantly adjusting to their customers’ needs. Higher education has never had to accommodate their customer to this extent, until now. A good way to begin this process, is to form a relationship with an Online Program Management (OPM) Partner. In many ways, a relationship with an OPM partner is a perfect marriage for many colleges and universities. OPM Partners bring the expertise in the online field that colleges and universities don’t have the resources to focus on, presently. In order to get ahead of competitors, institutions can take advantage of an OPM Partner’s experience in overcoming obstacles, streamlining processes, and taking traditional programs into the online landscape. For more information about how an OPM Partner can help place your institution on the cutting edge of education, contact Jim Hunter at jimhunter@emergeedu.com or (717) 214-1631.